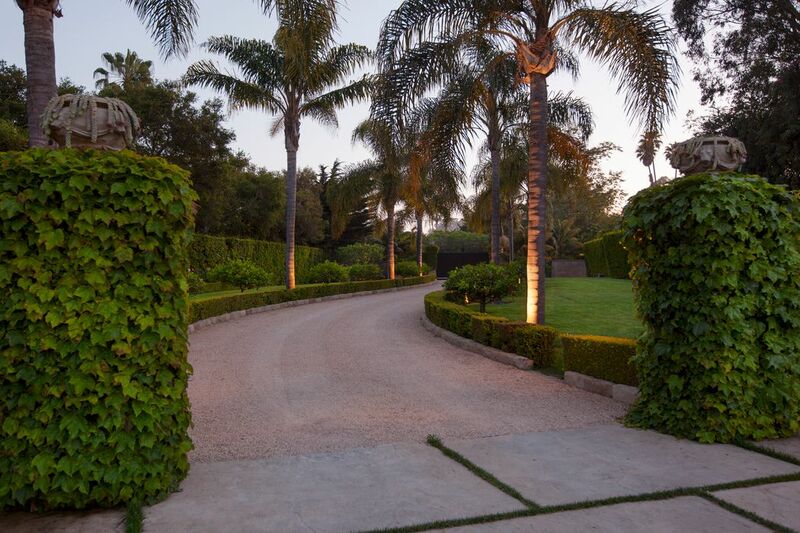 2733 Sycamore Canyon Road, Montecito, CA 93108 | Sotheby's International Realty, Inc.
$11,999,999 5 Bedrooms6 Full / 2 Partial Baths9,430 sq. ft. 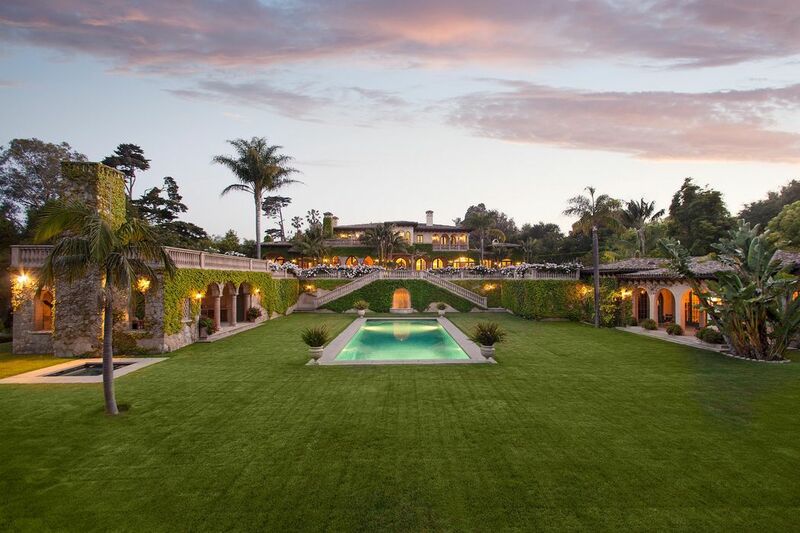 This majestic Montecito estate offers unparalleled privacy and is only moments from the shops and restaurants of the upper and lower villages. 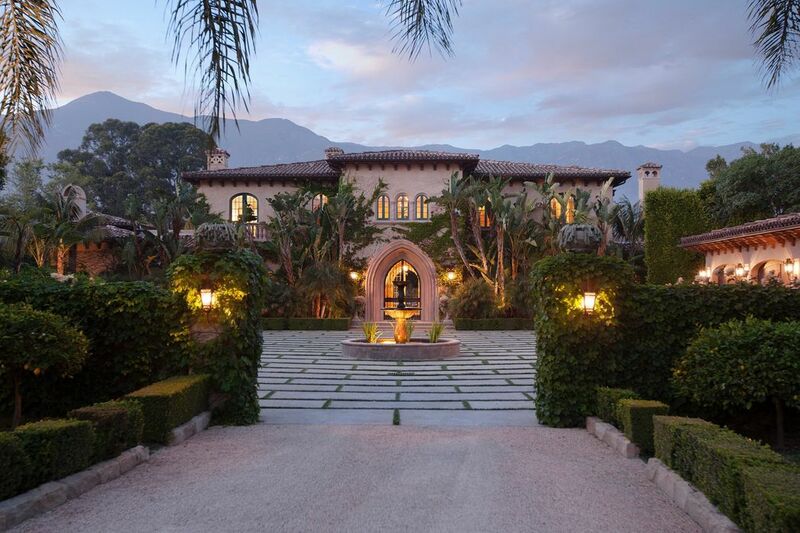 Grand entry gates and a meandering palm lined drive lead to a gracious motor court boasting monumental mountain views on nearly three manicured acres. 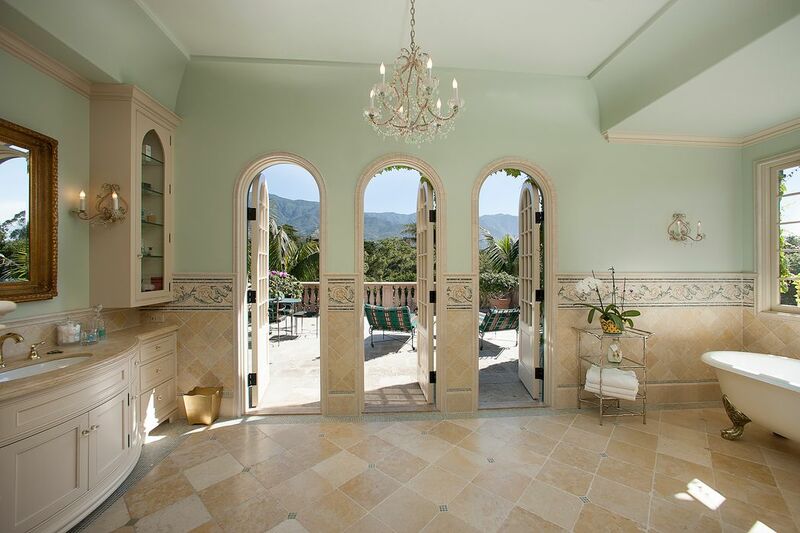 Stunning old world influences combine with world class amenities. 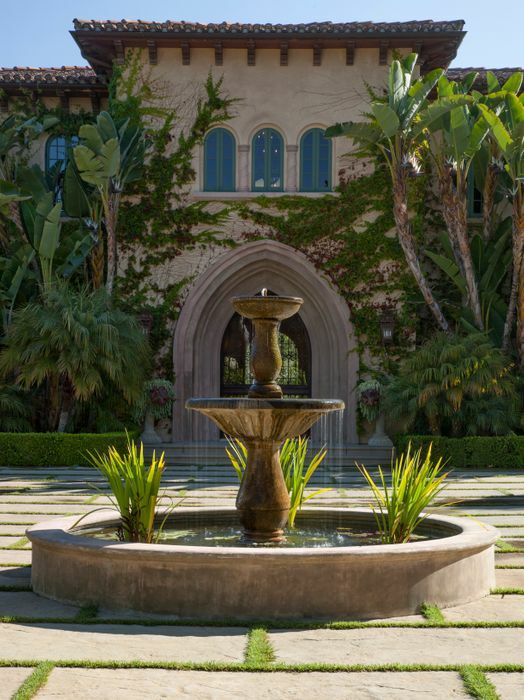 This Mediterranean masterpiece presents a breathtaking façade and incorporates Moroccan-style arches and southern Spanish architectural inspiration. The grand, two-story foyer welcomes you with a sweeping staircase and limestone floors. 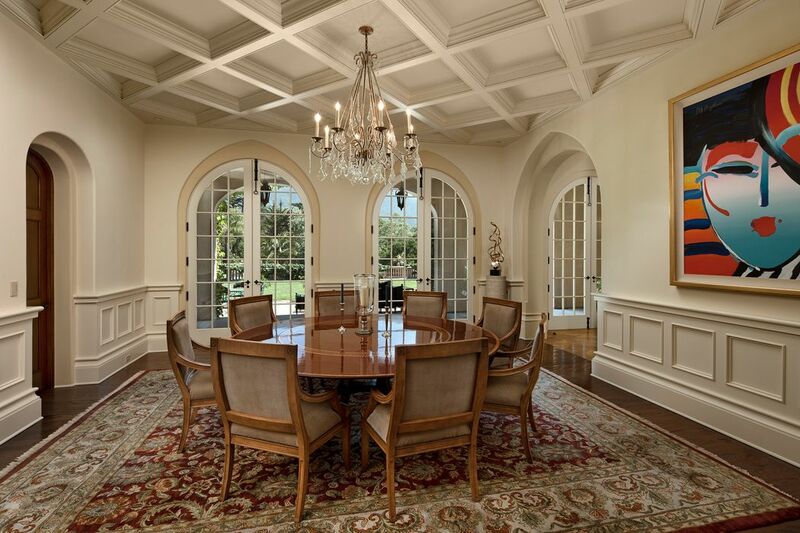 The downstairs living space includes a formal dining room, wood paneled library and an elegant living room with hardwood floors, intricate woodwork and a magnificent fireplace. All with serene mountain and garden views. 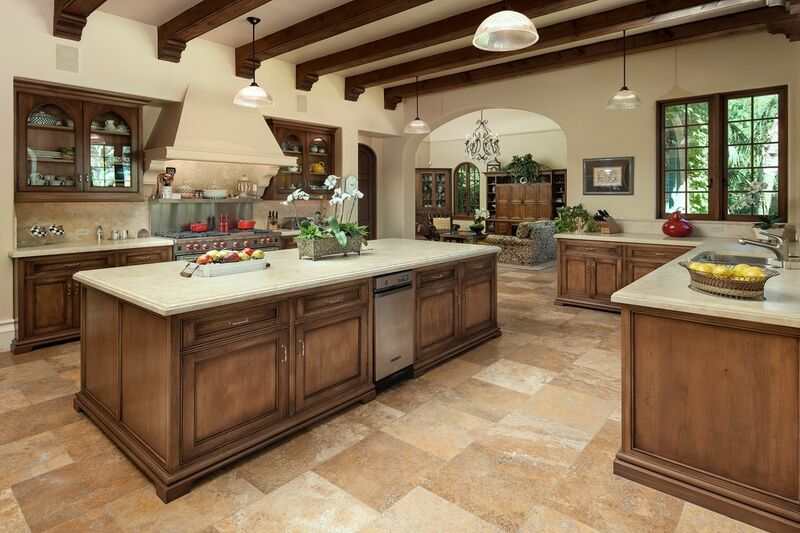 The chef’s kitchen comes complete with state-of-the-art appliances, a large center island and opens to a cozy family room with a fireplace and French doors to the gardens. Nearby is the breakfast room surrounded with grand windows and a private guest suite with a walk-in closet, spacious bathroom and an outdoor patio. 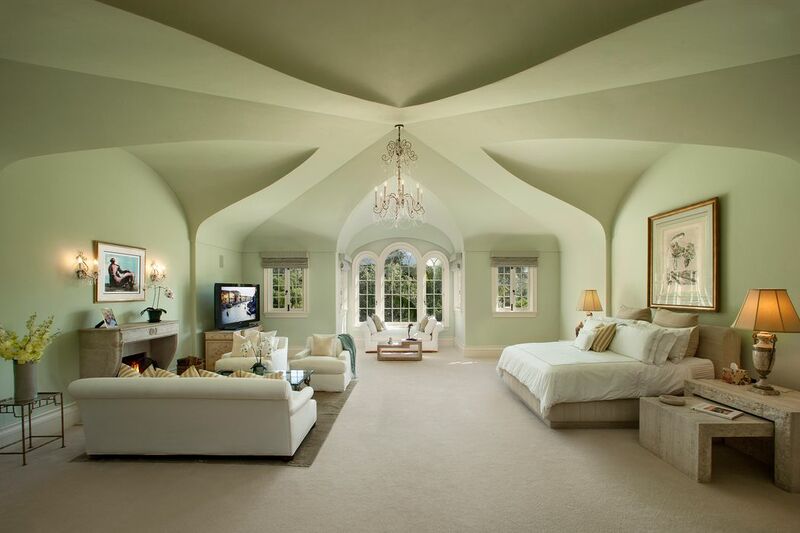 The upper gallery opens to a sweeping master suite with his and hers bathrooms and closets. Enormous in scale and bathed in natural light, the master bedroom with its Venetian, baroque plaster designs evoke an ethereal beauty. Abundant windows frame the striking vistas. There are two additional bedroom suites each with their own bathroom and private terrace. Perfect for outdoor entertaining, the magnificent upper terrace with a large stone fireplace offers a dramatic panorama of lush landscaping, the pool area and spectacular views. The lower terrace is an extraordinary covered dining space also with a fireplace and cooking space; the perfect shady place to lounge just steps from the expansive swimmer’s pool. The charming one bedroom guest house offers an airy retreat. Perfect for relaxed living and large-scale entertaining. 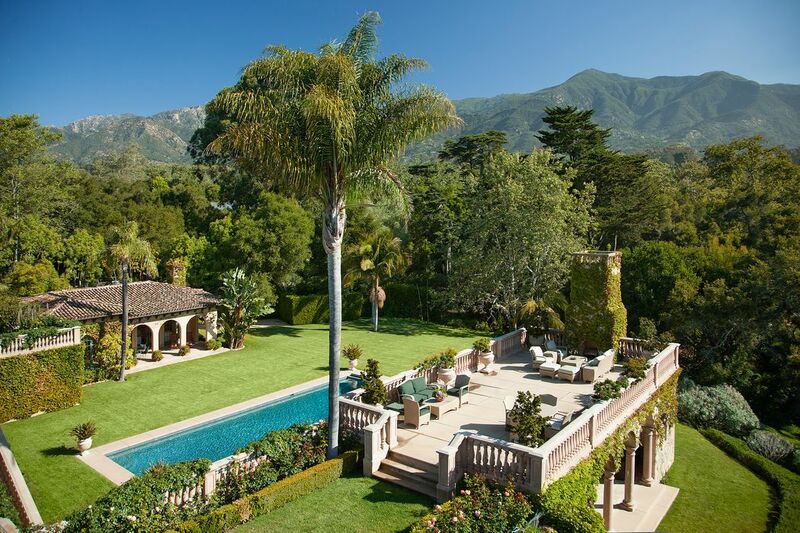 This majestic Montecito estate offers unparalleled privacy and is only moments from the shops and restaurants of the upper and lower villages. 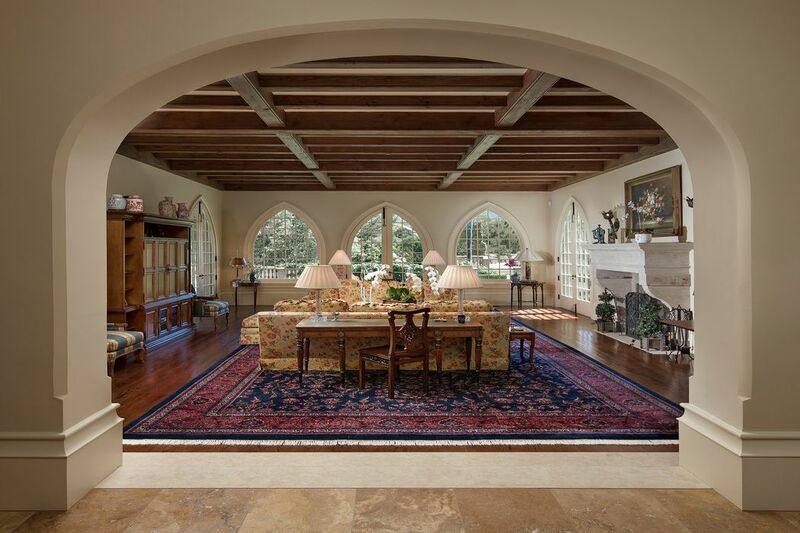 Grand entry gates and a meandering palm lined drive lead to a gracious motor court boasting monumental mountain views on nearly three manicured acres.Stunning old world influences combine with world class amenities. 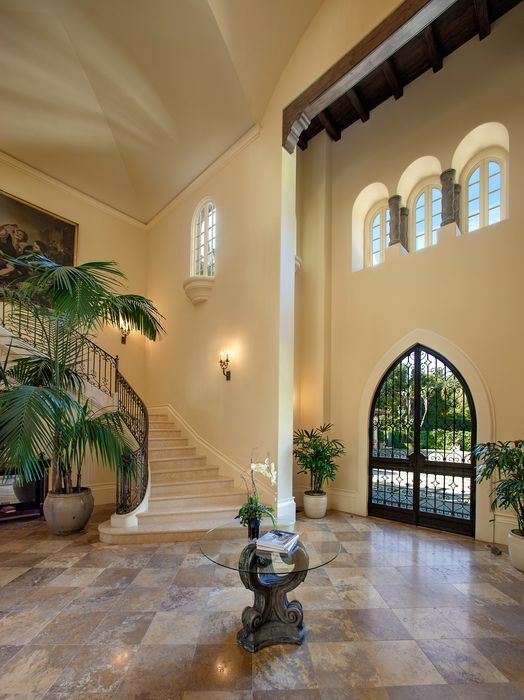 This Mediterranean masterpiece presents a breathtaking façade and incorporates Moroccan-style arches and southern Spanish architectural inspiration.The grand, two-story foyer welcomes you with a sweeping staircase and limestone floors. 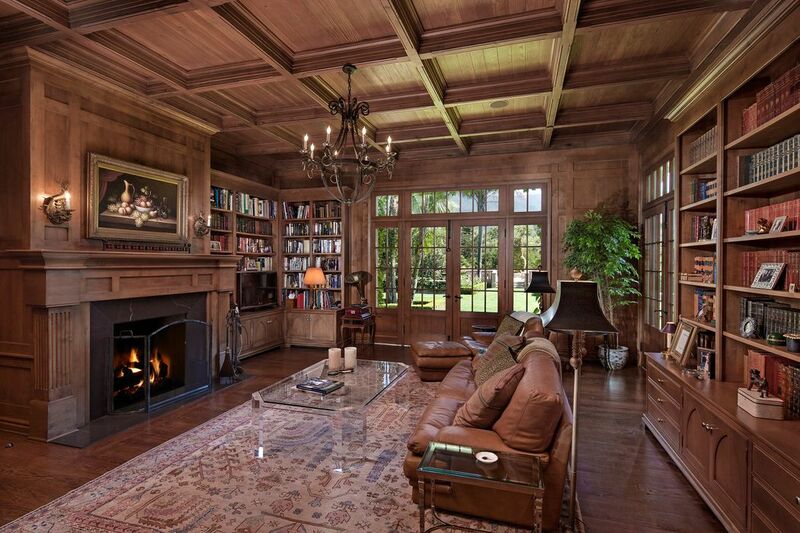 The downstairs living space includes a formal dining room, wood paneled library and an elegant living room with hardwood floors, intricate woodwork and a magnificent fireplace. All with serene mountain and garden views. 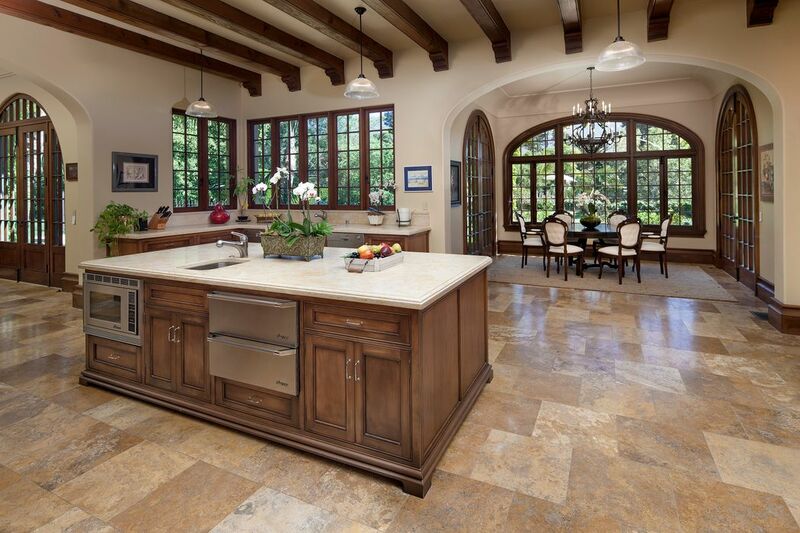 The chef’s kitchen comes complete with state-of-the-art appliances, a large center island and opens to a cozy family room with a fireplace and French doors to the gardens. Nearby is the breakfast room surrounded with grand windows and a private guest suite with a walk-in closet, spacious bathroom and an outdoor patio. 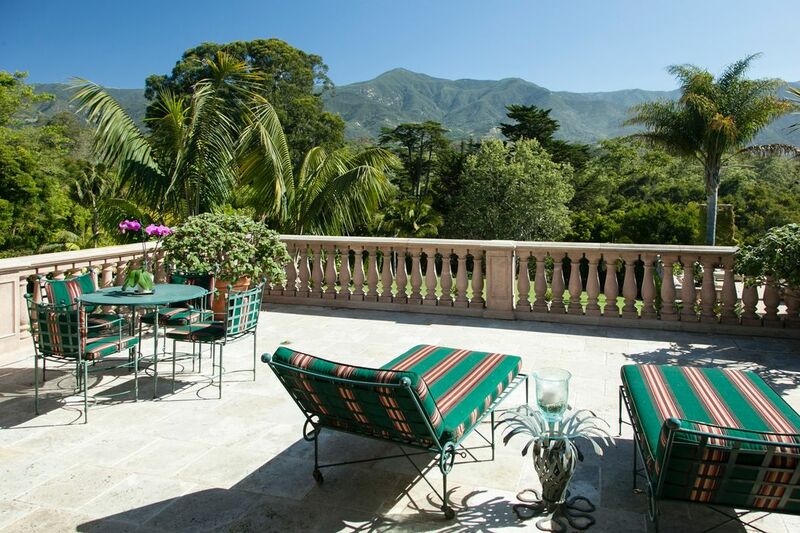 Perfect for outdoor entertaining, the magnificent upper terrace with a large stone fireplace offers a dramatic panorama of lush landscaping, the pool area and spectacular views. The lower terrace is an extraordinary covered dining space also with a fireplace and cooking space; the perfect shady place to lounge just steps from the expansive swimmer’s pool. The charming one bedroom guest house offers an airy retreat.Perfect for relaxed living and large-scale entertaining.